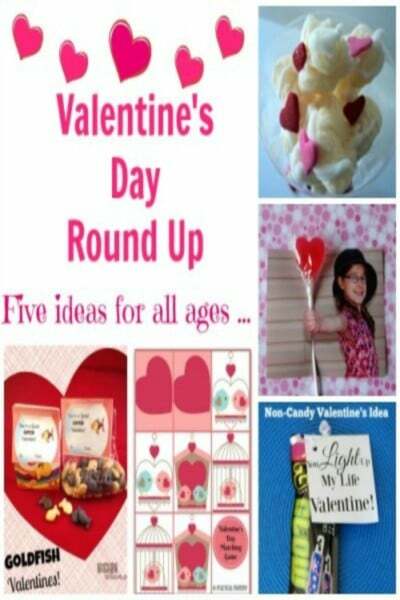 Valentine’s Day DIY & Crafts – Five Ideas You Will Love! 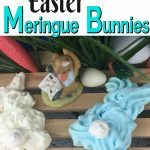 Don’t you just love the creative ideas found on Pinterest! I love learning new crafts and enjoy all the ingenious and creative ideas – enjoy these 5 Valentine’s Day DIY just in time for the 14th! What is Valentine’s Day without a round up of my favorite crafts. The ideas are all easy on the budget, easy on the time and of course – free! 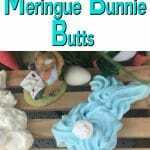 So without further adieu onto the crafts from the generous contributors and masters at DYI. The images are adorable and can be used anytime of the year. Matching games are always a favorite for children! The Valentine’s Day Photo Lollipop Card by The Thrifty Couple is a keeper and 3-D! What a wonderful and creative way to use a photo of your child or anyone! for a Valentine’s Day card. Think of all the holidays one can put this idea to good use. Photo + prop + card and you are good to create. Happy Deal Happy Day shares You Light Up My Life a non candy Valentine’s Day gift for those glow stick aficionado’s – and as aptly stated – who doesn’t love a glow stick! A cute gift package with glow sticks and the added bonus of free printable tags are included. Goldfish? Who said goldfish! I love a good goldfish or bag of goldfish as it may be. You’re A Great Catch by Mission to Save features a Valentine Treat bag of goldfish topped off by an adorable free printable goldfish theme tag. 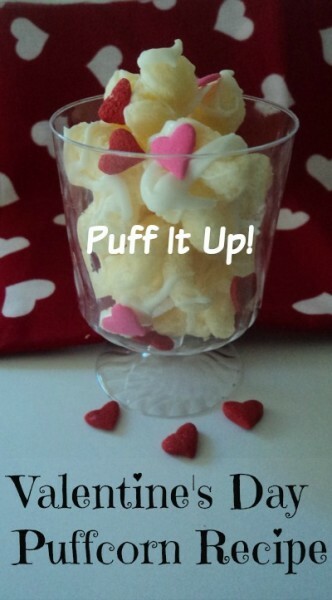 Finishing off the round up is a Valentine’s Day Puffcorn recipe from The Savvy Age. 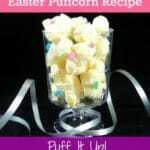 If you’d like to include your children in making a treat bag for school or friends, this is the craft and/or recipe for you. Use clear gift bags , heart gift bags, Valentine’s Day treat boxes, colorful ribbon or twine for the Valentine’s Day theme. I’m including this as a crafty treat bag idea as once you read the directions, I’m not sure it qualifies as ‘cooking’ but it definitely qualifies as yummy, easy and your childs’ Valentine’s Day treat bags will be coveted!